Joost Seegers graduated from the Artez Arnhem product design department in 2015. 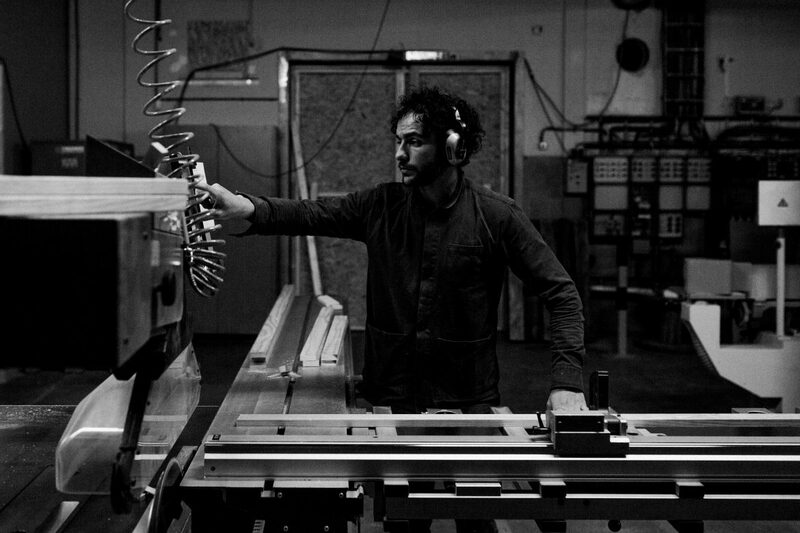 Since then he works independently from his studio and workshop in Nijmegen. As a designer I tend to work with different models, such as scale and test models. By creating these, I can further develop my creativity in the design of a project as models strenghten my imagination. Various aspects in life as well as every-day objects inspire me. The elements of little mechanical objects, for example, truly fascinate me due to their linear constructions and moving joints. In particular I am inspired by the transformation of an object’s shape that can lead to a new purpose of an individual object. I am practical and experimental in my way of thinking and way of working. During the process of creativity, experiments with materials and shapes stimulate my fantasy. This is how my products are getting modelled. My work is characterized by moving and clear-cut constructions. It’s my aim that my work is perceived as astonishing and sympathic. The products explain themselves how they are constructed due to the transparency in my work.